We announced it in our second post and people followed us! 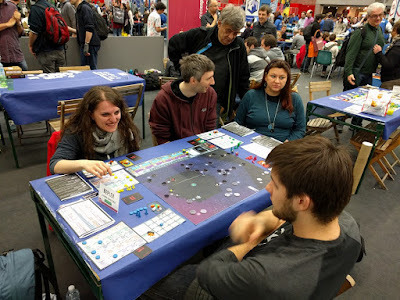 During Play 2016, Placentia Games showed the prototypes of two games on which we are working for the future: Kepler-3042, by Simone Cerruti Sola and Grandi Laghi (great lakes) by Danilo Sabia, and the public was really enthusiast about both of them! Many people tried Simone's and Danilo's games and all of them complimented the authors for the new ways ways to manage resources or actions. They both took classic aspects of german games and innovated them in clever ways. About Kepler-3042 there was a mock up with some graphical elements so that we could get feedbacks also on this aspect. 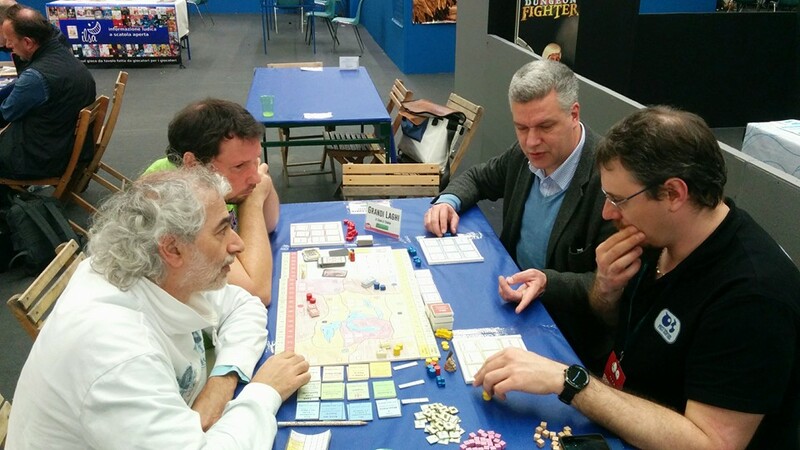 In the end of the fair, we had a briefing with Alan D'Amico and we are really sure the final product will be amazing to see, other than to play. Shortly we'll start informing you about the Kickstarter campaign related to the game. About Grandi Laghi, there was a prototype without graphic, but everybody who tried it really appreciated its peculiar action building mechanichs: even a great author like Mac Gerdts really admired it. A very good first step, so! And the next ones will be even better!